Boots Riley‘s terrific new film Sorry To Bother You is a welcome relief from Summer Blockbuster Season (and to 2018 in general), a wildly audacious satire of race relations, corporate takeovers, real estate, and, you know, the all-around state of things today. It’s not perfect (the last 15 minutes in particular) but the great parts more than make up for its imperfections, with moments that are thought provoking, hilarious and jaw-dropping. It’s in theaters everywhere now and you can watch the trailer below. The film boasts a pretty great soundtrack, including Tune-Yards’ score, songs by Boots’ group The Coup, as well as tracks from Killer Mike, Janelle Monae, E-40, and more. While there hasn’t been a release date set for the soundtrack (“very soon”), Boots has shared the tracklist which you can check out below. 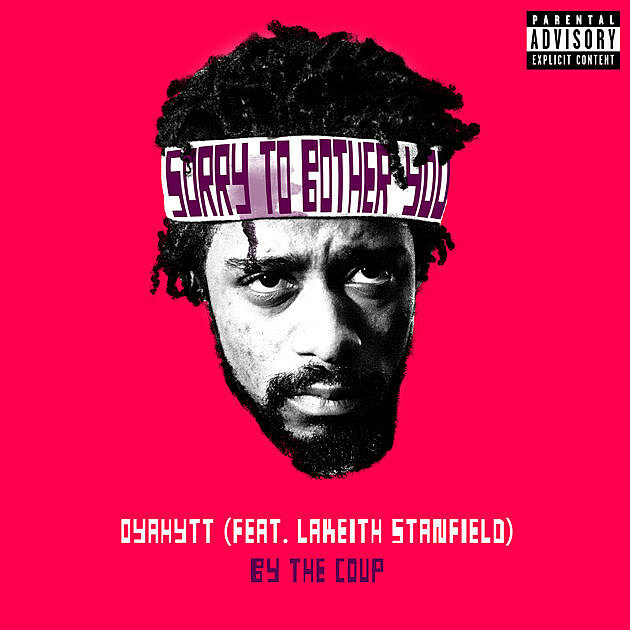 You an also listen to the soundtrack’s first single, The Coup’s “OYAHYTT” that features the film’s star Lakeith Stanfield (also of Atlanta), below. They’ve also put together a Sorry To Bother You playlist on Tidal that features songs by St. Vincent, Flaming Lips, LCD Soundsystem, Cody ChesnuTT, Sly & The Family Stone, Goblin, Talking Heads, and more.